It is soon Christmas and the Dolce & Gabbana red dress was one of the best Amal’s looks. I decided to write a post with some nice alternatives. If your wish dress is not posted here don’t be affraid to ask and I will try to add the information later. Thanks! Any substitute for the dress Amal wore with the fringe boots? Not for the moment, but I found another dress very Valentino. I will post it later. Well done Nati, very good find. Thank you Ginevra 🙂 I will check. To add a picture just post the link to the image. You did really a remarkable job. Suddenly Amal promotes modest dresses en gives a scholarschip? They are really serious polishing her image.But she did dress and act foolishly, like a spoiled child. Thanks for your blog, i am followiing you from the very beginning. Amal’s clothes are more expensive. In this post, there are only alternatives. Redactiegeestig: I cannot believe that you called someone a spoiled child who you do not even know. I appreciate many of the comments and observations people make on this blog but what you have said is so judgmental and reprehensible. No one is polishing her image. None of us know her. None of us. Nati – you are so right – Dolce & Gabbana dresses are so beautiful. The other red one with the short sleeves and the buttons too. “Jackson” is the new Nadia. 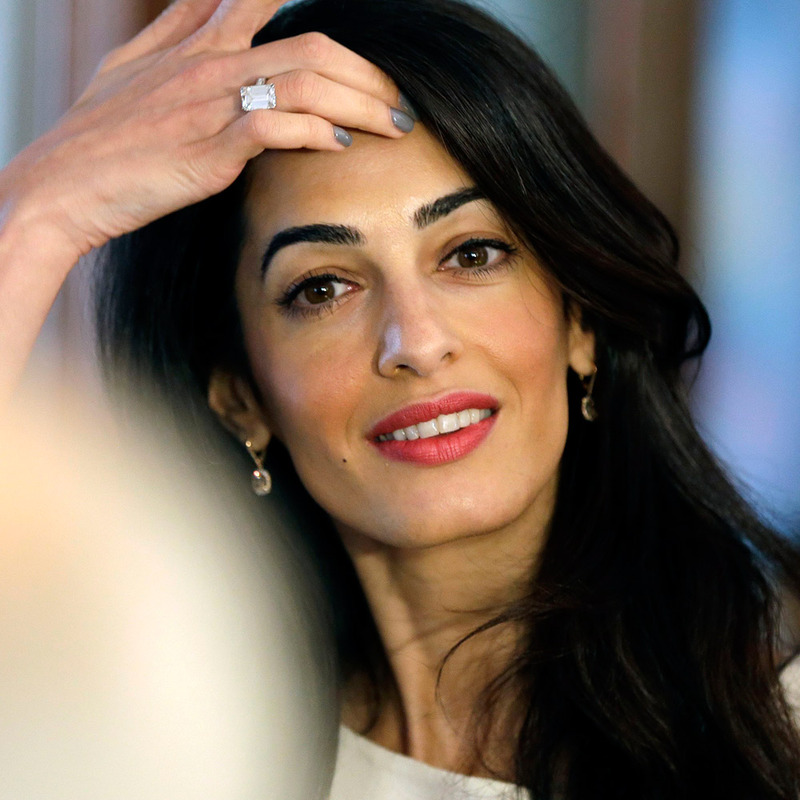 Always defending Amal…. no one is allowed to have any negative commentary or critiques. I would be grateful if you don’t attack Jackson. Rep: I think negative and positive opinions are always welcome but when a person makes a statement about another person’s character it crosses the line in my book. I teach doctoral students how to conduct qualitative research where you analyze interview data and observation data. I go onto this blog every day to see the different styles of clothing Amal wears. I understand if you and others might say a dress is too short or too long or not suited for the climate or an event but when you interpret a person’s character based on a dress or style you are making judgments about a person you do not know and I find that offensive. I would say that if someone made a statement that you were a spoiled child so it has nothing to do with defending Amal. I totally agree with you Jackson, and we know that too many frustrated or jealous people have crossed the line here on this blog. They’d better post their comments on the DM. Opulent, beinahe etwas snobish sind die Entwürfe von Giambattista Valli und eine wunderbare Garderobe für alle, die sich weltweit auf hohem Niveau vergnügen. Und mit diesem ist auch der Intellekt der idealen sowie bekannten Valli-Trägerinnen gemeint, zu denen Amal Clooney oder Lauren Santo Domingo zählen. Nati, what do wie have to do to be able to add the Blue Star to a comment?